California halibut are found from Washington to Baja California Sur, Mexico, but are most common south of Bodega Bay, California. Stock assessments have identified two distinct stocks: a southern and central stock. Both stocks are thought to have stable biomass and fishing mortality is below maximum sustainable yield (MSY). The troll line fishery is highly selective with minimal bycatch (<5%) and fishermen are able to release unwanted catch alive. Groundfish in the US are caught as part of a multi-species fishery. Rockfish landings reached historically low levels in the early 2000’s. Recently, management has rebuilt the overfished stocks and 6 stocks are classified as rebuilding. In 2009, the value of the fishery was $66.1 million. Rockfish are distributed throughout the west coast, and sablefish are mostly exported to Japan. 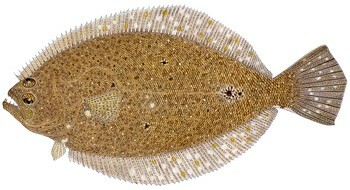 During the early 1900’s, industrialization and improvements in fishing techniques facilitated the exploitation of the summer flounder population. Consumer demand increased with time, with overfishing continuing well into the 1960’s. Peak fishing pressure occurred in the 1990’s. The summer flounder is now caught both commercially and recreationally. The use of otter trawls has a significant impact on the bycatch of Atlantic white-sided dolphins; a species which is already overfished and whose low population numbers are of concern. Otter trawls are also a main cause of mortality for the endangered loggerhead sea turtle. Otter trawls have the potential to severely damage the habitat by increasing the turbidity in the water, smoothing the substrate, causing mortality or injuries to species, and by destroying the habitat. The effects of removing American plaice from the ecosystem are not well understood. Although management has at times been poor in the past, recent modifications to regulations have established stricter limits on catches. This new management regime is considered to be moderately effective. Management plans to minimize bycatch exist, and these regulations are effective for the summer flounder fishery. The summer flounder was historically overfished, but has since rebuilt, and the population is now at a healthy level. In Mexico, flatfish landings are combined and information on specific landings of California flounder are not available, nor which fishery they are from. A total of 5,500 t were caught in 2016 and evidence suggests the majority is caught by the industrial fleet. Most production is sold domestically, and it is unclear how much California halibut is exported, though the US imported 15 t of ‘unspecified halibut’ from Mexico in 2015, which may include it. California flounder in Mexico’s Gulf of California is caught by both an industrial bottom trawl fishery and an artisanal gillnet fishery; both are Not Recommended, due to impacts on other species and poor management score. Stock status and mortality are unknown, and there is also no bycatch information; however, based on similar fisheries around the world they are likely to include catches of at-risk turtles, marine mammals, seabirds, rays and finfish. The poor management score is due to a lack of stock assessments conducted, and a lack of input from stakeholders and scientific advice into the management process. Some measures to protect the ecosystem are in place, and seafloor impacts are a moderate concern. California halibut are found from Washington to Baja California Sur, Mexico, but are most common south of Bodega Bay, California. Stock assessments have identified two distinct stocks: a southern and central stock. Both stocks are thought to have stable biomass and fishing mortality is below maximum sustainable yield (MSY). 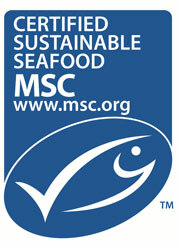 However, fisheries management is thought to be moderately effective as the fishery lacks reference points. There are bycatch concerns with white sharks in the gillnet fishery, and green sturgeon and big skate in the bottom trawl fishery. Concerns also exist with the impacts of bottom trawls on the seafloor. Management of BC groundfish is moderately effective as management measures such as reference points and harvest control rules exist. However these measures are not applied to all stocks, and are not always supported by scientific research. The Committee on the Status of Endangered Wildlife In Canada (COSEWIC) has identified several groundfish of threatened status, although recovery of these species is challenging given limited data. Fisheries officers are highly effective in enforcing management regulations such as total allowable catch. Vessels are monitored with 100% at-sea, 100% dockside and 100% observer coverage. The population health and fishing mortality of many BC groundfish is unknown or uncertain due to a lack of stock assessments, or out-of-date assessments. This uncertainty in population status is a concern. Winter flounder are fished as part of the groundfish fishery in the Maritimes region. Bottom trawls consist of more than 99% of the catch. During the 1990’s, catches of flatfish including winter flounder, were approximately 12,000-13,000 mt. Catches have since declined. In 2014, 1,964 mt of flatfish were landed. Winter flounder accounts for the majority of the flatfish catch in Canadian Maritimes. Winter flounder are managed as part of a mixed-species groundfish fishery by the Department of Fisheries and Oceans Canada (DFO). Regulations include catch limits, gear restrictions, reporting requirement, catch verification, area and seasonal closures, and bycatch protocols. Management is moderately effective and could be improved by defining abundance and fishing targets, and by managing bycatch species of concern. The stock status of the winter flounder in the Canadian Maritimes is currently unknown due to a lack of stock assessments. Fishing mortality is unknown, although management regulations impose limits on catch. Bottom trawls are a non-selective gear type. The bottom trawl fishery for winter flounder causes the bycatch of Atlantic cod, haddock, and other flatfish. The bycatch of Atlantic cod is of concern as it is an endangered species whose fishing mortality is too high. Other species of concern such as skates and wolffish may be impacted by the winter flounder trawl fishery. Bottom trawls could potentially damage the habitat by increasing the turbidity in the water, smoothing the substrate, causing mortality or injuries to species, and by destroying the habitat. The negative effects of this fishery on the habitat are moderate to high. The removal of winter flounder from the ecosystem is not thought to have large effects.